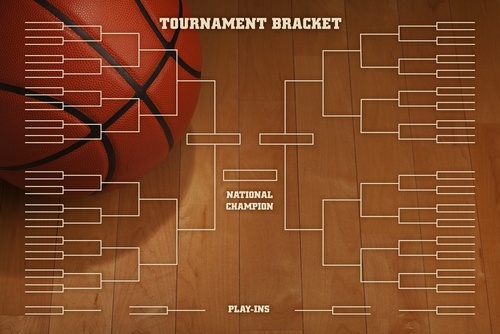 Is your March Madness Bracket already failing? Or maybe, you missed the deadline and didn't make one at all. The good news is, it isn't too late to fill out a different kind of bracket with Wendy's and to start scoring some free burgers! Read on for more about this as well as more Inbound Marketing news. Wendy’s is infamous for never freezing their meat and has been offering fresh beef on every hamburger since day 1. As the Official Hamburger of the NCAA, Wendy’s wants to make the difficult March Madness decisions easier by announcing the "Easiest Bracket Ever." Instead of having to choose between 32 match ups, you now just have to choose between two options - Fresh Beef vs. Frozen Beef. The bracket is an interactive experience that will live on Wendy’s social channels. Fans that pick Wendy’s “Team Fresh Beef” will be rewarded with perks throughout the tournament. Exclusive weekly offers include ongoing deals, like a free Dave’s Single with purchase. Spotify is now interactive! Instead of just listening on Spotify, users now have the ability to talk back. The Siri-like, voice search interface lets you select a playlist, artist, song, or genre, by asking with only your voice. According to a comapny spokesman, this feature is just a test for now and only a small subset of users have access currently. Voice control could make Spotify easier to use while on the go, while using microphone headphones, or while in the house and away from your phone. It can also help users who exploring new music, by letting them simply call out a genre or some other category of songs. Do you think voice search for Spotify is useful? Pi Day, once acknowledged only by scientists, math teachers and geeks, is becoming increasingly more popular as more brands start to offer ‘Pi Day’ discounts. Pizzerias Domino’s, Blaze, and Pieology all offered $3.14 pizza pies to celebrate the mathematical constant, pi. Online searches surrounding “National Pi Day” reached a peak in 2017 with 49,500 in March of last year alone, an 18% year-over-year increase. Marketers often can leverage made-up holidays, like Pi Day, to create fun campaigns that drive both social media engagement and in-store foot traffic. There’s a new trend in online marketing that is proven to have a big return and that is 360 degree-video ads! 360-degree technology drives a 7% higher purchase intent on smartphones according to a study by IPG. The study looked at 360-degree ads from brands such as BMW, Royal Caribbean, and PBS. 360-degree campaigns offer opportunities for sharing content that's not only visually-focused but also highly interactive. According to the study, virtual reality headset environments were the most ideal platform for the ads, while smartphones were second most ideal. To drive higher purchase intent with 360-degree video, marketers must balance entertainment with brand messaging, as 88% of users who found 360-degree video ads to be "entertaining" plan to interact with similar efforts in the future.